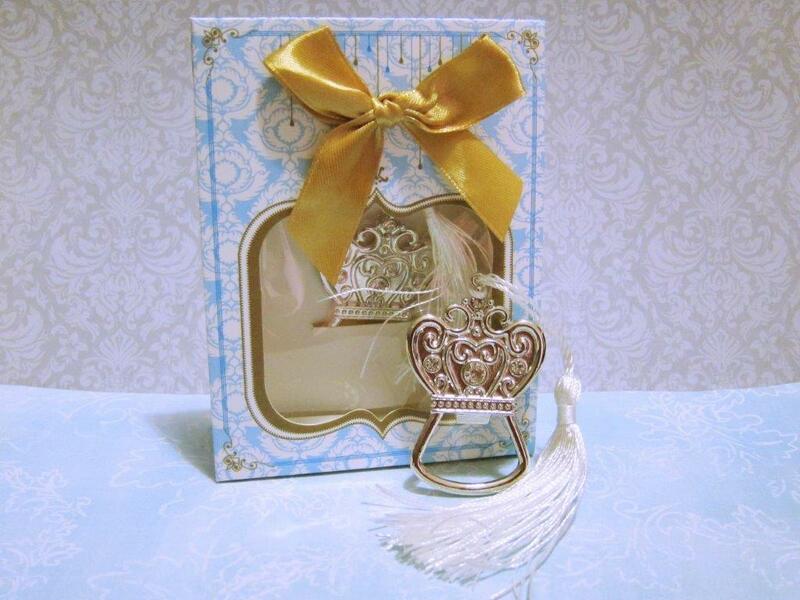 A wedding Favor for the King .. this bottle opener designed in a crown shape and with a tassel. Crown has a diamante to make it special. Make from zinc alloy. This ia special gift for your guest and special too. Price includes packing as shown.